My daughter has friends over today and they wanted to play an old Nintendo Gamecube game on the Wii as there is no working Gamecube in the house. Naturally it wasn't reading, and it wouldn't eject either. These are the little 2 inch mini CDs. She thought she remembered us putting a second disc in there last time this happened, but that one got pulled in as well, and now we have two discs in the Wii. 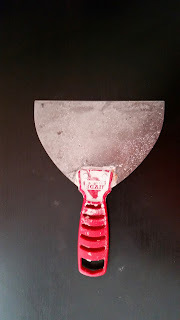 I grabbed a putty knife out of the garage and pushed it in, on the right side of the disc slot as you're looking at it. I pressed the eject button a few times, and the first disc came out. Grab it immediately or it will get pulled back in. Same process and the second disc came out as well. They're both a bit scratched up from the ordeal, but they should be fine. I've recently been working on Hyper-V replication across the Internet to give our clients the option of maintaining an offsite copy of their server in our data center. Everything was going smoothly up to a point. I set up a site-to-site VPN connection between them and us, built an Active Directory two way trust between their domain and ours, and then tried to enter their Hyper-V host into our System Center Virtual Machine Manager system. This is where I ran into a road block.